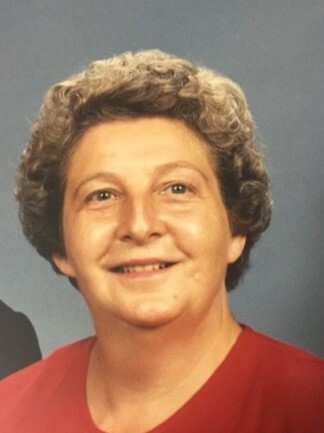 Anita Ruth Davis Brinkley, age 83, passed away at her home on April 10, 2019. She is survived by her devoted husband of 36 years, John C. Brinkley; beloved feline companion Kissey Mae; step daughter, Janelle Brinkley of Rocky Mount. She also leaves behind a host of nieces, nephews, cousins, and friends to cherish her memory. Anita was preceded in death by her parents, Orville G. Davis and Lessie D. Davis; brothers, James Willard Davis, Gordon Edwin Davis, Ambler “Pookie” Davis, Franklin Delano Davis; Sisters, Gladys Davis Bryan, Louise Davis Fisher, Naomi “Pat” Davis Combs, and Peggy Davis Newton. Anita graduated from Atlantic Christian College in 1959, where she earned a B. A. Degree in English and History. She then went on to have an illustrious teaching career beginning at Smithfield High School, and later with Wilson City Schools until her retirement. In 1975, she was awarded “Teacher of the Year” by Wilson City Schools. Anita and John were long time members of Sharpsburg Baptist Church. Anita served as Sunday School teacher, a dedicated member of the choir, and she served as a Vacation Bible School volunteer. She enjoyed tennis, gardening, bike riding, and watching college basketball games. In later years, Anita preferred to be at home in the company of her husband, John, and her feline companion, Kissey Mae. A graveside service to celebrate her life will be held Saturday, April 13, 2019, 2:00 PM at Mill Branch Cemetery, located on Halifax Road, Rocky Mount, officiated by Dr. Jim Robertson and Rev. Mike Stamper. The family will receive friends immediately after the service, and other times at the home. Special thanks to Dr. Bales, Nash Hospice and to John Brinkley’s niece, Mabel Howell for taking such excellent care of Anita during these difficult months. While floral tributes are appreciated, please consider memorial contributions to The American Diabetes Association, 2451 Crystal Drive, Suite 900, Arlington, VA 22202 or a charity of your choice.